For the Women’s Pre-Fall 2018 collection, Missoni pays homage to its distinctive identity by designing a series of items, featuring the iconic Missoni logo, in the brand’s trademark rust color. The result are urban, fresh, and sophisticated statement pieces with a bold and powerful style that is unmistakably Missoni. The brand’s logo is repeatedly embossed onto refined leather garments – such as trench coats, trousers, miniskirts, shirts and bomber jackets – or printed all-over on sweatshirts and puffer jackets. The Missoni logo-mania also takes over a wide range of accessories, with the logo appearing on knitted gloves, beanies and scarves, as well as stylish leather wide-brimmed hats, sporty baseball caps and long gloves. The logo frenzy doesn’t stop there: a head-to-toe outfit comes to life thanks to edgy booties, comfortable sneakers and chic lace-ups. 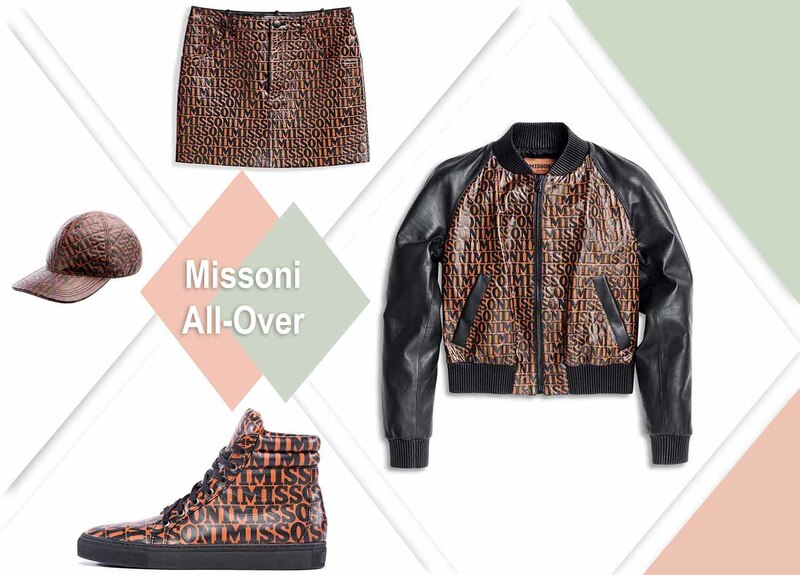 The collection will be available in selected Missoni boutiques worldwide and on missoni.com starting from end of May 2018.